Jamal Ahmed Khashoggi was a Saudi Arabian journalist and author who moved to the United States in September 2017 under a self-imposed exile. 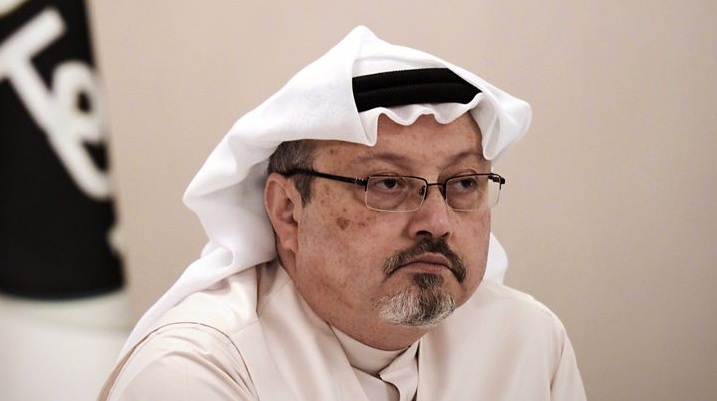 Khashoggi was a former general manager and editor-in-chief of Al-Arab News Channel and also served as editor for the Saudi Arabian newspaper Al Watar, which was a platform for Saudi progressives. Although Khashoggi was part of a significantly prominent family, he had the courage to speak out against the Saudi Arabian government and their politics. On Oct. 2, Khashoggi arrived in Turkey and visited the Saudi consulate with his fiancé Hatice Cengiz to pick up some documents they required for their upcoming wedding. Cengiz waited for Khashoggi near the consulate, and was instructed by Khashoggi to call the police if he did not return soon. This is presumably the last time Khashoggi was seen alive. On Oct. 16, CNN reported that a Turkish official anonymously claimed that Khashoggi was dismembered after being killed inside the Saudi consulate. Unsurprisingly, the Saudi government and the crown prince, Mohammad Bin Salman, initially denied claims of Khashoggi being killed inside the consulate. However, after worldwide backlash and an international demand for justice, the Saudi government finally released an official statement on Oct. 19, and backtracked their preliminary comment. The Saudi state media reported that Khashoggi got into a fight inside the consulate that resulted in his death. Eighteen Saudi citizens are currently under investigation for his death. Additionally, deputy chief of Saudi intelligence Ahmed el-Asiri and royal court advisor Abdullah al-Qahtani have both been fired. The fact that Saudi officials even admitted that Khashoggi was killed inside the consulate is a step in the right direction. However, masking the truth by saying his dismemberment was the result of a fistfight is shameful and extremely difficult to believe. It’s shocking that the Saudi government would expect people around the world to believe that a fistfight broke out in their consulate and ended a man’s life. Additionally, as per news reports on Oct. 22, investigators have uncovered that the person shown to be leaving the Saudi consulate was not Khashoggi, as officials had initially claimed. The person was actually a body double dressed in Khashoggi’s clothes. This is proof enough that Khashoggi’s death was orchestrated by the Saudi government, and they are now desperately making an attempt to cover it up. After spending almost the entire month of October keeping tabs on Khashoggi’s case and researching his journalistic career, I have come to the realization that his murder begs a bigger question: are people really free? Free to speak, free to think, free to express? Donald Trump weighed in on the situation and stated that there have been “deception and lies.” Trump also went on to say that while the explanation provided by the Saudi government was not satisfactory, cancelling a $110 billion arms deal with Saudi Arabia would harm the US more than it would harm them. For the first time, I find myself understanding Trump’s point of view. That being said, as usual, I don’t necessarily agree with his approach to the present situation. The message that Trump is sending across is clear: that there is no place for humanity when it comes to political agenda. While international relations is vital for every nation, human rights cannot be neglected. To say that an arms deal is of more value than an investigation of a man’s death essentially proves that nations across the world are quantifying and dismissing human rights to maintain international ties for money and power. In light of these events, my fears as an aspiring journalist are reaffirmed. However, I find comfort in the fight to protect every person’s right to freely express themselves.